The Baltic and the Mediterranean are among the cruise destinations to be included in Carnival Legend's first extended programme from the UK, the firm has announced. The new schedule will begin next April and will include a 12-day Mediterranean cruise departing from Venice, Barcelona and Dover and cruises of the same duration departing from Dover to Norway, western Europe, the British Isles and the Baltic. Between April 22 next year and the end of October, Carnival Legend will be offering 16 European cruises, visiting a total of 34 ports taking in nearly 20 countries. 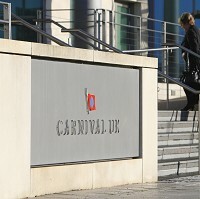 Managing director of Carnival Cruise Lines UK Adolfo Perez said: "We're very excited about the Carnival Legend's 2013 European programme offered from Dover. These cruises visit a variety of interesting and beautiful ports and offer Brits a fun and convenient holiday option departing from the UK." The new programme offers British holidaymakers a range of options, and anyone planning on a trip is advised to invest in cruise travel insurance prior to setting sail.